Audi 100 C3 C4 Front Seat Belt Buckle. Donor Car: 1983 Audi 100 C3 2200cc. The New and Used Audi Parts Specialist for all Audi models worldwide. It may fit others. Audi Part Number: 443 857 755. Audi A6 100 C4 Front NS Left Seat Belt Blue. Donor Car: 1996 Audi A6 C4 Saloon 1800cc. The New and Used Audi Parts Specialist for all Audi models worldwide. It may fit others. Audi Part Number: 4A0 857 705 AE. Audi 100 C3 C4 Front Seat Belt Buckle. Donor Car: 1983 Audi 100 C3 2200cc. The New and Used Audi Parts Specialist for all Audi models worldwide. It may fit others. Audi Part Number: 443 857 755 F.
Audi A6 100 C4 Twin Rear Seat Belt Buckles. Donor Car: 1992 Audi 100 C4 Saloon 2000cc. The New and Used Audi Parts Specialist for all Audi models worldwide. It may fit others. Audi Part Number: 4A0 857 739 C.
Audi A6 100 C4 Twin Rear Seat Belt Buckles. Donor Car: 1994 Audi 100 C4 2000cc. The New and Used Audi Parts Specialist for all Audi models worldwide. It may fit others. Audi Part Number: 4A0 857 739 A. Any warranty is for parts only. AAH ENGINE CODE, AAT CAB GEARBOX CODE, LZ5N PAINT CODE. Make Supersized Seem Small. Donor Car: 1999 AUDI A6 C5 Saloon 4172cc Quattro Sport. The New and Used Audi Parts Specialist for all Audi models worldwide. It may fit others. Donor Car Colour: Bodywork is Ming Blue LZ5L. Interior trim is Cream N5T/BK. Donor Car: 1983 Audi 100 C3 2200cc. The New and Used Audi Parts Specialist for all Audi models worldwide. It may fit others. Audi Part Number: 443 857 706. Donor Car Colour: Bodywork is Green L06Y. SHOULD FIT AUDI 100'S FROM 1992 TO AROUND 1996. 01728 685027. Audi 100 C3 Rear Centre Lap Belt Black. Donor Car: 1983 Audi 100 C3 2200cc. The New and Used Audi Parts Specialist for all Audi models worldwide. It may fit others. Audi Part Number: 443 857 713. Donor Car: 1988 Audi 100 C3 2226cc. The New and Used Audi Parts Specialist for all Audi models worldwide. It may fit others. Audi Part Number: 443 857 709. 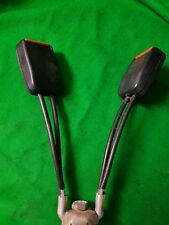 Audi 100 C3 OS Right Front Seat Belt Black. Donor Car: 1988 Audi 100 C3 2226cc. The New and Used Audi Parts Specialist for all Audi models worldwide. It may fit others. Audi Part Number: 443 857 706 H.
AUDI 100 C4 4A. Produktgruppe Innenausstattung. 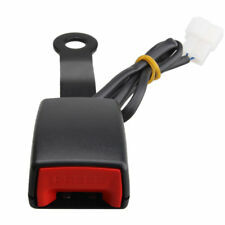 Part number -4A0 857 833 D. Audi 100, A3, A4, A6 Front seat belt height adjuster. A4, 94>01 / A6, 95>05. Fits many models. 100, 91>94 / A3, 97>03. Engine / cylinder head rebuilds. Cylinder head / manifold porting. Donor Car: 1994 Audi 100 C4 2000cc. The New and Used Audi Parts Specialist for all Audi models worldwide. It may fit others. Audi Part Number: 4A0 857 740. 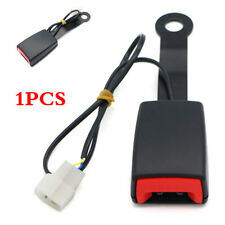 Audi 100 C3 NS Left Front Seat Belt Black. Donor Car: 1988 Audi 100 C3 2226cc. The New and Used Audi Parts Specialist for all Audi models worldwide. It may fit others. Audi Part Number: 443 857 705 H.
Donor Car: 1993 Audi 100 C4 Avant 2226cc Quattro. The New and Used Audi Parts Specialist for all Audi models worldwide. It may fit others. Audi Part Number: 4A0 857 705 N.
Part number: 200E. 3-point Securon seat belt (without inertia-locking retractor) for Audi 100, 200 V8 (year of manufacture: 83 to 91) rear (adjustable). MODEL YEAR FRONT LH & RH REAR LH & RH LAP. Stalk length: 47 cm / belt lenght: 217 cm. PART NUMBER IS 4A9 857 709. Donor Car: 1994 Audi 100 C4 2000cc. The New and Used Audi Parts Specialist for all Audi models worldwide. It may fit others. Audi Part Number: 4A0 857 706 N. Donor Car Colour: Bodywork is Green LZ6U. Part number: 254E. 3-point Securon seat belt (automatic) for Audi 100S (year of manufacture: 71 to 76) rear (adjustable). MODEL YEAR FRONT LH & RH REAR LH & RH LAP. Stalk length: 32 cm / belt lenght: 208 cm. 3-point Securon seat belt (without inertia-locking retractor) for Audi 100 Avant CD (year of manufacture: 76 to 83) front (adjustable). 100 Avant CD. MODEL YEAR FRONT LH & RH REAR LH & RH LAP. Stalk length: 30 cm / belt lenght: 217 cm. Part number: 254B. 3-point Securon seat belt (automatic) for Audi 100S (year of manufacture: 71 to 76) rear (adjustable). MODEL YEAR FRONT LH & RH REAR LH & RH LAP. Stalk length: 32 cm / belt lenght: 208 cm. Part number: 254C. 3-point Securon seat belt (automatic) for Audi 100S (year of manufacture: 71 to 76) rear (adjustable). MODEL YEAR FRONT LH & RH REAR LH & RH LAP. Stalk length: 32 cm / belt lenght: 208 cm. Part number: 264E. 4-point Securon seat belt (automatic) for Audi 100 A6 (year of manufacture: from 91) rear (adjustable). MODEL YEAR FRONT LH & RH REAR LH & RH LAP. Stalk length: 32 cm / belt lenght: 265 cm. Part number: 210C. 2-point Securon lap belt (without inertia-locking retractor) for Audi 100S (year of manufacture: 71 to 76) (adjustable). MODEL YEAR FRONT LH & RH LH & RH LAP. Rear seat belt for MG MGB-GT 65-81 3-pnt. Securon 3 Point Static Seat Belt T2 Split 1950–1967, T2 Bay 1967–1979, T25 1979–1992 & Brazilian Bay. JK Part Number: J21034Quality Securon product, made in the UK. 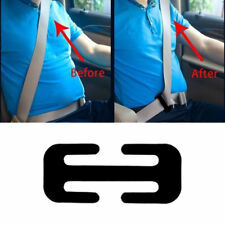 Three-point static seat belt. Fits T2 Split Screens from 1950 to 1967, T2 Bays from 1967 to 1979, T25s from 1979 to 1992, and Brazilian made Bays. 3-point Securon seat belt (automatic) for Audi 100S (year of manufacture: 71 to 76) front (adjustable). MODEL YEAR FRONT LH & RH REAR LH & RH LAP. Stalk length: 30 cm / belt lenght: 297 cm. Complete with fittings. Part number: 264C. 4-point Securon seat belt (automatic) for Audi 100 A6 (year of manufacture: from 91) rear (adjustable). MODEL YEAR FRONT LH & RH REAR LH & RH LAP. Stalk length: 32 cm / belt lenght: 265 cm. 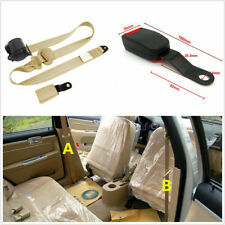 3-point Securon seat belt (automatic) for Audi 100 (year of manufacture: 68 to 76) front (adjustable). MODEL YEAR FRONT LH & RH REAR LH & RH LAP. Stalk length: 30 cm / belt lenght: 297 cm. Complete with fittings. PART No. 4A0 857 739A. AUDI A6 100 (C4) 1994-1997, TWIN REAR SEAT BELT LATCH BUCKLE. THIS IS A USED ITEM SO MAY HAVE MARKS. Part number: 210E. 2-point Securon lap belt (without inertia-locking retractor) for Audi 100 Avant CD (year of manufacture: 76 to 83) (adjustable). 100 Avant CD. MODEL YEAR FRONT LH & RH LH & RH LAP. Part number: 200C. 3-point Securon seat belt (without inertia-locking retractor) for Audi 100 A6 (year of manufacture: from 91) rear (adjustable). MODEL YEAR FRONT LH & RH REAR LH & RH LAP. Stalk length: 47 cm / belt lenght: 217 cm. Part number: 264B. 4-point Securon seat belt (automatic) for Audi 100 A6 (year of manufacture: from 91) rear (adjustable). MODEL YEAR FRONT LH & RH REAR LH & RH LAP. Stalk length: 32 cm / belt lenght: 265 cm. Part number: 210B. 2-point Securon lap belt (without inertia-locking retractor) for Audi 100 A6 (year of manufacture: from 91) (adjustable). MODEL YEAR FRONT LH & RH LH & RH LAP. Stalk length: 47 cm / belt lenght: 120 cm. Part number: 264C. 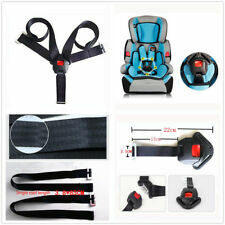 4-point Securon seat belt (automatic) for Audi 100, 200 V8 (year of manufacture: 83 to 91) rear (adjustable). MODEL YEAR FRONT LH & RH REAR LH & RH LAP. Stalk length: 32 cm / belt lenght: 265 cm. 3-point Securon seat belt (without inertia-locking retractor) for Audi 100 (year of manufacture: 68 to 76) front (adjustable). MODEL YEAR FRONT LH & RH REAR LH & RH LAP. Stalk length: 30 cm / belt lenght: 217 cm. Donor Car: 2005 Audi A8 D3 3000cc Quattro Sport. Donor Car Colour: Bodywork is LZ7Q Oyster Grey. Interior trim is N5D/ LF Platinum Grey. The New and Used Audi Parts Specialist for all Audi models worldwide.